It may not make as many headlines as some rivals, but Trend Micro is a security giant, with a wide range of enterprise, virtual, business and consumer antivirus products bringing in an annual revenue of more than a billion dollars. The Trend Micro home product range starts with Trend Micro Antivirus+ Security, a simple package which focuses on the fundamentals, yet still manages to deliver more than you might expect. There's real-time antivirus protection and blocking of malicious URLs, of course. A Folder Shield feature offers extra ransomware protection, warning about unauthorized access to specified folders. Trend Micro Pay Guard launches a secure version of your default browser (as long as it's Chrome, Firefox or IE) to protect online banking and other sensitive transactions. There's even a spam filter for Outlook, something that just about every other security vendor reserves for its security suite. It's a very solid set of features, yet the price is surprisingly low at only £20 ($26) for a one computer, one-year license. Extending the subscription to three years costs just £40 ($52), and a three device, three-year subscription looks great value at £53.27 ($69.25). 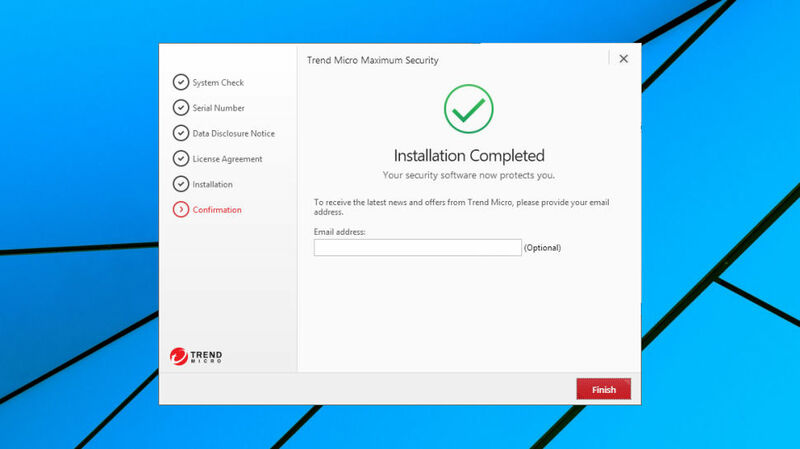 Trend Micro Maximum Security is a full-strength security suite which adds features like a password manager, parental controls and social media protection. It can protect PCs, Macs, Android and iOS devices, and again, it's better value than most. Covering any mix of three devices for one year will cost you £50 ($65), while a five device, three-year license can be yours for £173.20 ($225). The Trend Micro Antivirus+ Security web page doesn't have an obvious link to a trial, instead referring to a '30-day money-back guarantee'. The company may be hoping you'll buy now and worry about any issues later, but don't be fooled, clicking the Download > Free Tools link at the top of the page leads you to a Free Trials area. 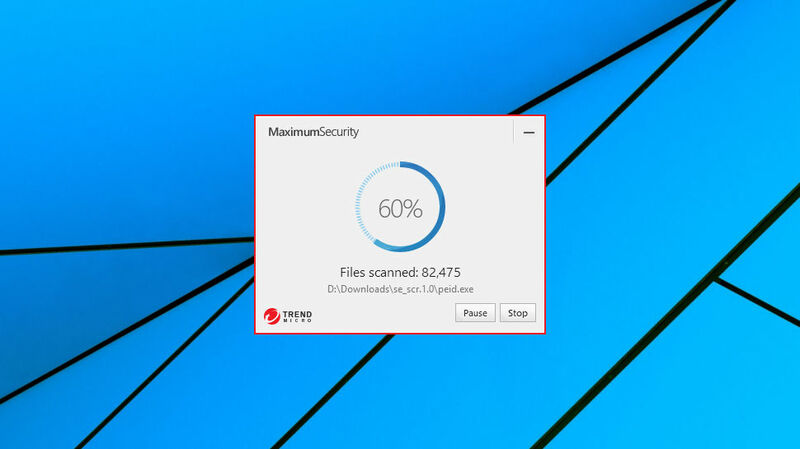 There's only a trial build for the full-strength Trend Micro Maximum Security suite, unfortunately, but the interface is very similar, and it'll give you a good idea of how Antivirus+ Security looks and feels. The trial lasts a full 30 days, too, which is more generous than usual. Downloading is easy, and setup largely automatic. You're prompted to enter your email address at the end of the process to get product news and updates, but this is optional. We left the box blank and the installer didn't complain. Once setup is complete, the package added an icon to our system tray but otherwise stayed mostly in the background. This is an antivirus which doesn’t get in your way, and most of the time you can forget it's there. You may want to do a little initial exploring, though, as the default settings may not be quite what you expect. Trend Micro Antivirus+ Security includes a spam filter, for instance, but this wasn't enabled on our system after installation, and it's not clearly highlighted in the interface. We only realized after browsing our Outlook interface, looking for a toolbar, not finding it, and subsequently checking the Settings dialog for answers. 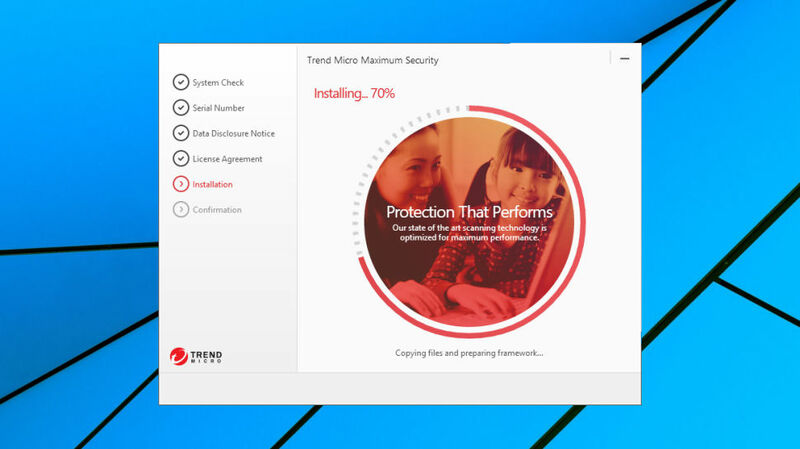 Still, these minor hassles aside, Trend Micro makes it easy to install its core antivirus engine, and the 30-day trial gives you more than enough time to assess its abilities for yourself. The interface has a friendly and appealing look. There are large animated icons, a big scan button, a clear description of your security status, along with text captions and tooltips to make it clear how everything works. You can even customize the console with a new background image. Checking the Settings dialog revealed the same focus on clarity, with nothing too intimidating present. Instead of the usual technical jargon, options are spelled out in plain English, like "Prevent programs on portable drives from launching automatically" or "Check if programs try to make unauthorized changes to system settings which could threaten your security". Experts might wish for more low-level control, but if you're normally left baffled by at least some antivirus settings, Trend Micro's simplified approach could be a refreshing change. Scanning options are straightforward. You're able to run quick, full or custom scans, where you can specify particular drives or folders to check. There's very little control over any of this, and no Avast-like ability to add other scan types and define precisely how they work. But it's easy to use, and if you're not the type who normally delves deep into antivirus settings, you'll probably be happy enough. Scan times were a little below average in our tests, but anyone can be fast if they don't detect anything. Antivirus+ Security seemed to be very thorough, and did a very good job of picking up active threats and suspect files. It also falsely flagged a lot of legitimate technical tools (Nirsoft apps, for instance), but if you use these regularly, you'll already know that's a very common problem with most antivirus applications. URL filtering was another highlight, blocking almost all our test malicious URLs. 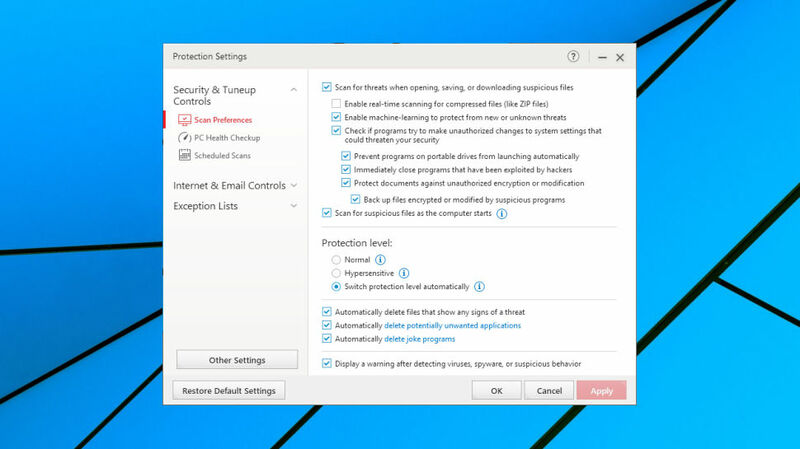 It's unusually configurable, too – while other antivirus programs typically only allow you to turn URL blocking on or off, this one has a 'protection strength' slider which you can turn up to more aggressively block sites, or turn down to reduce false alarms. Other tools include Trend Micro's Folder Shield, an anti-ransomware module. By default, this watches your Documents and Pictures folders, as well as any connected USB drives, and alerts you about any attempt to modify files by trusted processes. You can add more folders as necessary. Folder Shield isn't a new idea – even Windows 10 now does something similar with its new Controlled Folders feature – but it's a welcome extra layer of protection which could block even brand new undiscovered ransomware. Trend Micro's Pay Guard aims to provide a more secure environment for carrying out online banking, shopping and other sensitive transactions, making it more difficult for malware to monitor or log what you're doing. This is also a familiar idea, but Trend Micro implements it a little differently. While Bitdefender SafePay and similar packages create their secure environment within a custom hardened browser, Antivirus+ Security uses your default browser (as long as it's Chrome, Firefox or IE) with its most secure settings. This makes it easier to operate, as you're using a familiar interface, but is it as secure? Probably not, because Trend Micro has much less control over how the browser works, but we don't yet have a test to measure exactly how much less (or more) secure it might be. The real surprise here is the spam filter. Trend Micro doesn't make any effort to highlight this, and unless you browse to the right page of the Settings dialog you might never realize it's there. This only works with Outlook, using POP3, SMTP and Exchange, but once we enabled it, the feature quickly added itself to our Outlook setup. A very brief spam blocking test failed to impress, with Trend Micro regularly flagging legitimate emails as junk. You can tweak this by adding trusted addresses to an Approved Senders whitelist, though, as well as adjusting the filter strength. A bonus Link Filter tool also allows for blocking emails purely on the basis of them including links to known malicious websites, potentially a handy extra way to avoid dangerous messages. This isn't the best spam filter we've ever seen, but the various settings allow you to tune it to suit your needs, and overall, it's a welcome addition to the package. AV-Comparatives' real-world protection test is a tough benchmark which pits 18 top antivirus engines against some of the very latest malware. Recent results have told a hugely positive story for Trend Micro, with its test product blocking 100% of threats in all nine tests so far throughout 2018 (February to October). The package typically raised more false alarms than most of the competition, but that didn't stop it coming first out of 18 contenders in the February to June 2018 summary report. Second place went to F-Secure, the only other antivirus with a 100% protection record, and that was followed by Bitdefender (99.8%), Kaspersky (99.7%) and Avira (99.7%). AV-Test's August 2018 Home Windows report tells a broadly similar story, with Trend Micro achieving a 100% protection rate. SE Labs July to September 2018 Home Anti-Malware Protection report has a relatively complex scoring system which takes more account of how protection works (evaluating whether a threat is blocked before it can launch, or allowed to start but then neutralized, for instance). This places Trend Micro in sixth place, behind Kaspersky, Norton, Windows Defender, ESET and F-Secure. The difference is tiny, though – first place scored 100/100, Trend Micro managed 98/100 – and SE Labs still awarded Trend Micro its top AAA award. To complete the picture, we tested the program with our own custom ransomware simulator. As we've written this ourselves, Trend Micro wouldn't be able to detect the threat from its file signature, and could only rely on behavior monitoring. 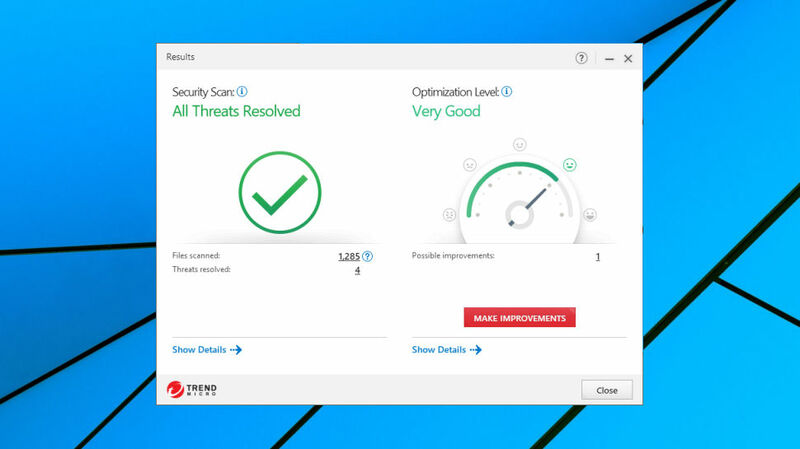 Many antivirus products have failed this test, but Trend Micro managed another big success. Not only did it kill the process after only three files had been encrypted, but it also recovered those documents in full, ensuring we didn't lose any data at all. If there's a problem here, it could be performance impact. PassMark's 2019 Security Products Performance report assessed 14 security suites for performance issues using 23 metrics, and Trend Micro's two tested products (Maximum Security and Internet Security) came 12th and 13th. We don't agree with every aspect of PassMark's scoring, but AV-Comparative's October 2018 performance test delivered broadly similar results, placing Trend Micro 13th out of 18. These aren't fatal issues, and any performance slowdown you might see will vary depending on your hardware, and how you use the program. Just bear in mind that if you download the trial version of this product, it might be a good idea to run a performance test or two of your own to see if there's any noticeable impact on your system. 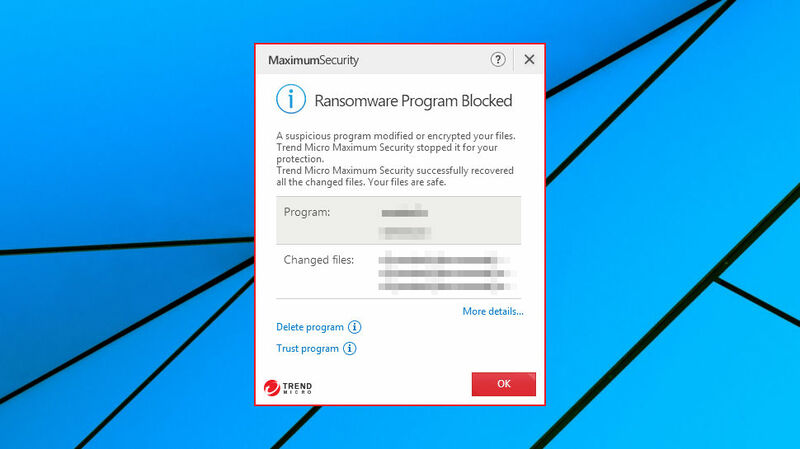 Trend Micro has produced a user-friendly antivirus with some valuable extras including anti-ransomware measures and a spam filter, but look out for any possible performance hit.